I've just been watching Nigella Lawson on the Teev and she has prompted me to write this post. Forget the "Top 10 Sexiest Men" list...this one is all about the ladies! Do you have girl crushes? These are the women I watch and cannot take my eyes off. In my opinion they have grace and style in abundance. You may disagree...that's fine, like I said, this is my opinion. I'd love to hear yours. 2. 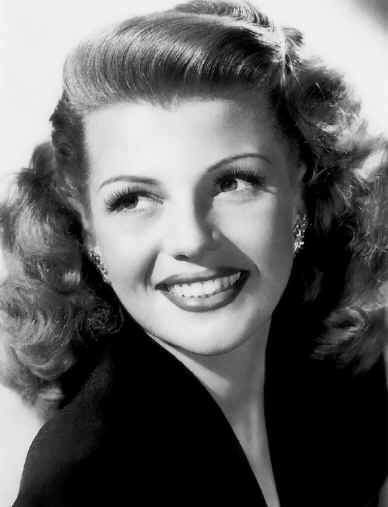 Rita Hayworth - I always prefered her with her with Fred Astaire over Ginger Rogers. 3. Ann Margaret - Who could forget her with Elvis in 'Viva Las Vegas'? 5. Princess Diana - She was my first (and only) idol. 6. Nicole Kidman - Beautiful. That is all. 7. Kylie Minogue - She's the same age as me...I've loved her since "Neighbours"! 8. Charlize Theron - Simply gorgeous. 9. Ashley Judd - Natural beauty. OMGoodness, I cannot believe I forgot her! 11. Catherine, the Duchess of Cambridge - Diana would be so proud of William. So then, who are yours? Hmmm . . . my 10 women would be (in no particular order). There are 2 who come to my mind now: Bjork and Audrey Tautou. I love the classic beauties you have listed and would have to add Audrey Hepburn to that list - there is something about them that is timeless. True grace and beauty! These are definitely some beautiful women. In my list I think I'd have: marisa tomei, natalie portman, shakira, Katherine hepburn. Just read yours after adding my own. I agree with all those adds! Sophia Loren, what an amazing beauty. Last minute update...let's make that top 11!! I'm kicking myself for forgetting Kate! I think I'd add Winona Ryder and Audrey Hepburn. Our very own beautiful Crown Princess Mary from Tassie. She is such an incredible beauty. I hope she is as happy as she looks. You're so right that Diana would be so proud of William. I often think the same thing when I see him wit Kate. Beautiful list. I love Audrey Hepburn, simple beauty. Please check out my blog and enter my competition. I am glad you added Catherine - I agree Princess Di would be smiling down on her son. 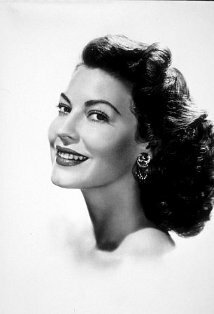 Princess Dyna is also my favorite.She was the most beautiful women . These are my ten faves...Grace Kelly, Naomi Watts, Rita Hayworth, Keira Knightley, Mila Kunis, Rachael MacAdams, Kate Winslet, Tyra Banks, Jennifer Lopez, Amanda Seyfried. Fun post!